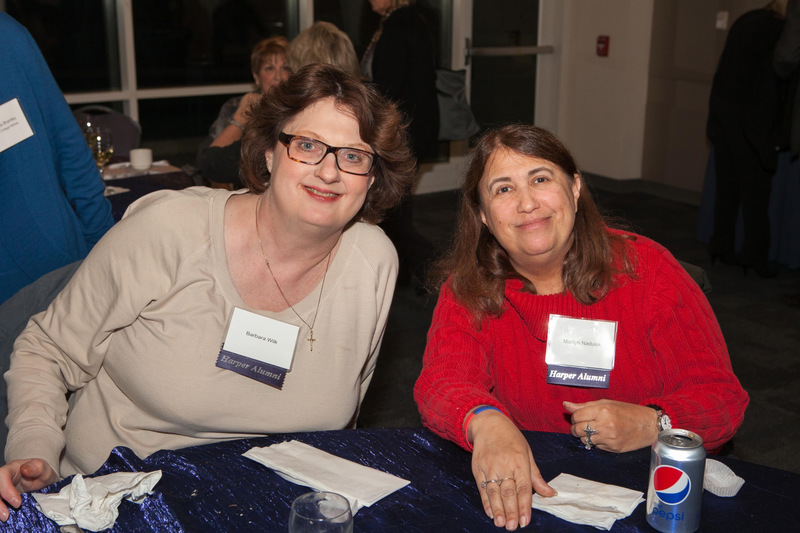 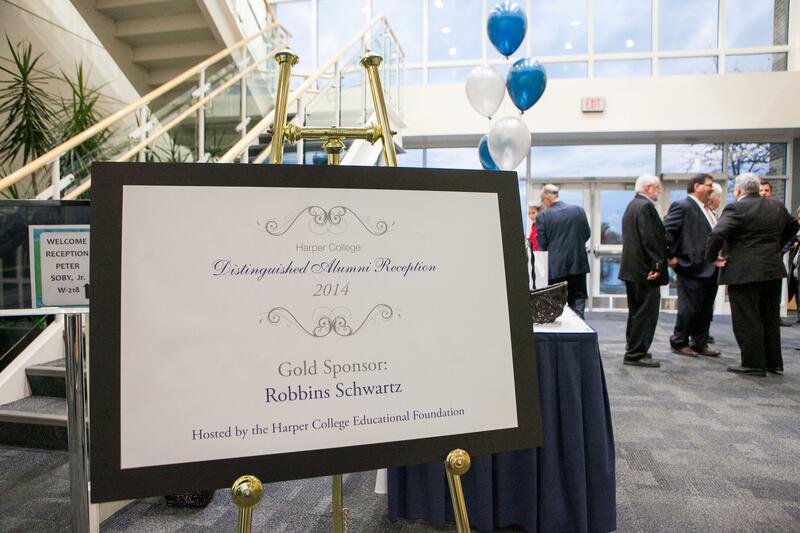 On October 29, 2014, Harper College honored the seventh class of Distinguished Alumni at a reception and awards ceremony. 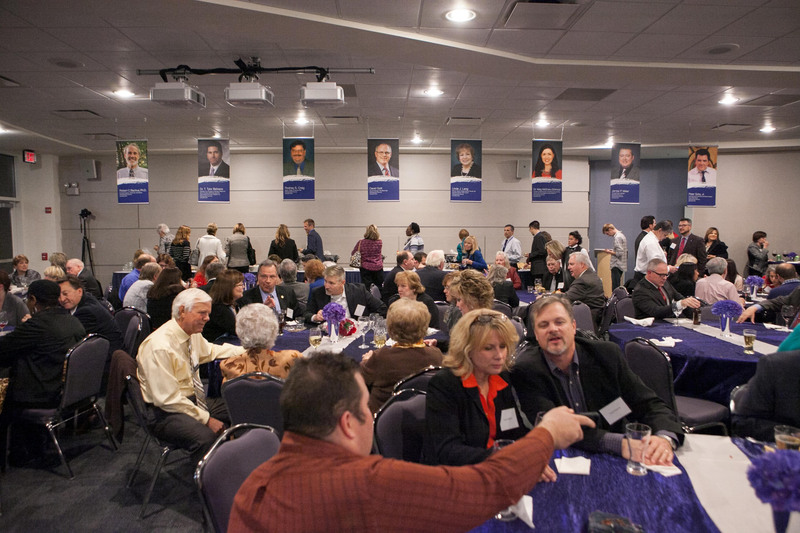 Read about this year’s honorees and the Distinguished Alumni program. 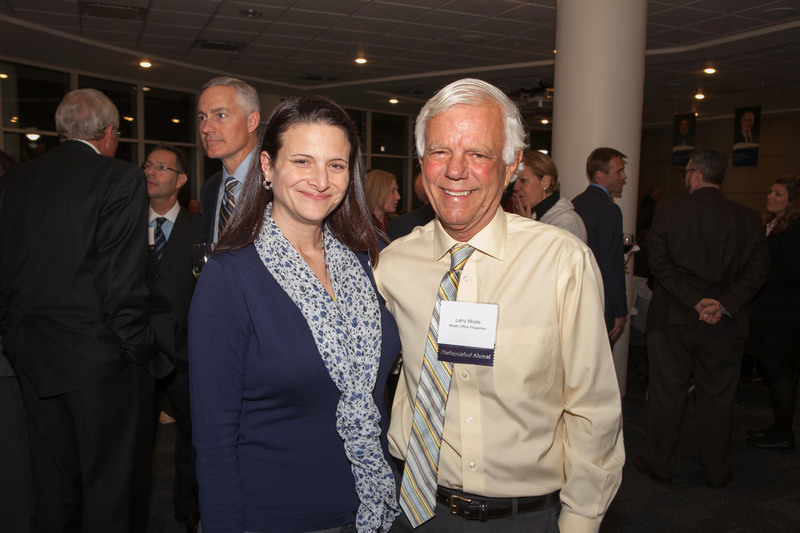 - 2013 Distinguished Alumni Award Recipient, Mike Terson, attends the celebration with his wife, Nicole. 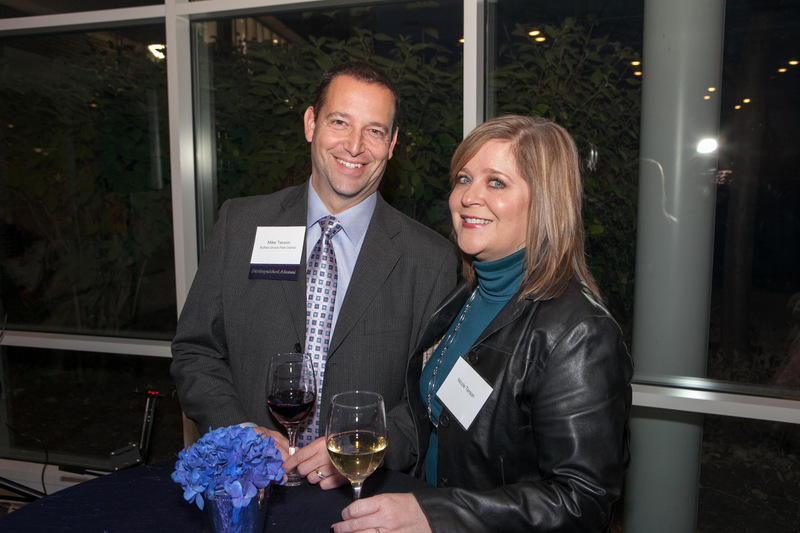 - Guests enjoying the reception prior to the awards ceremony. 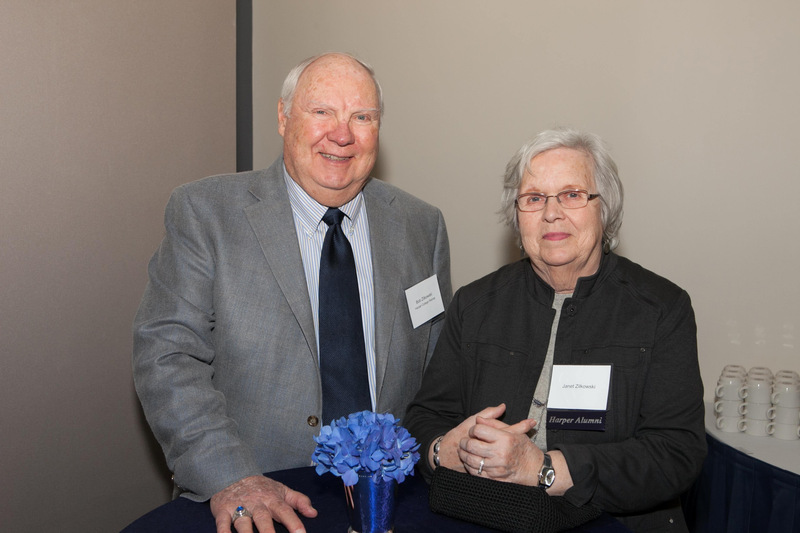 - Alumna Marguerita Whitby and 2011 Distinguished Alumni Award Recipient Larry Moats. 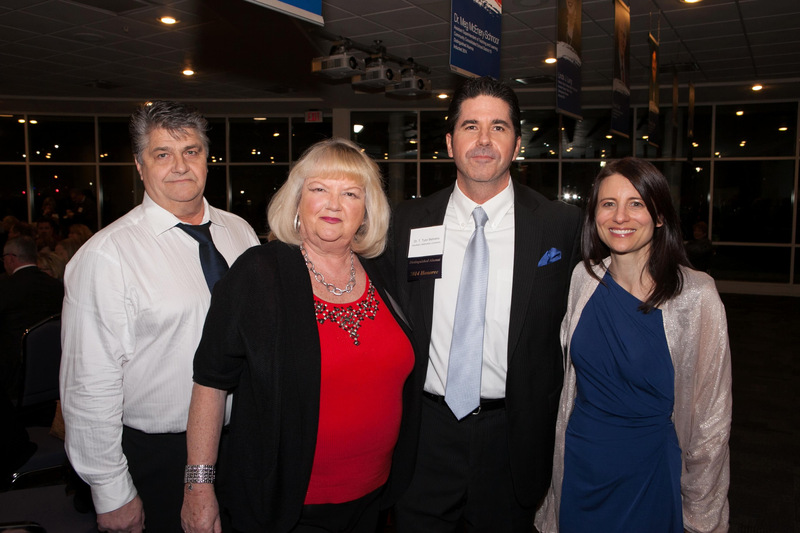 - 2014 Distinguished Alumni Honoree, Jim Meier (second from left) with wife Lori and guests. 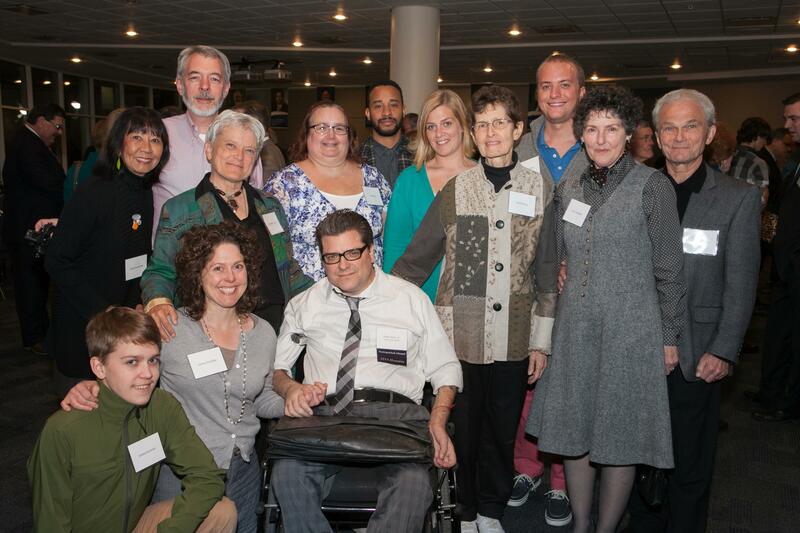 - 2014 Distinguished Alumni Honoree, Peter Soby, Jr. (center) with guests. 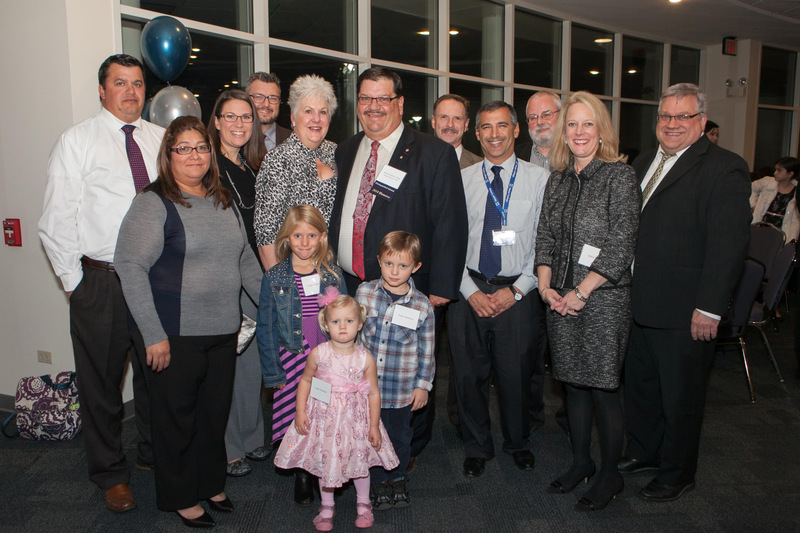 - 2014 Distinguished Alumni Honoree, Mayor Rodney Craig (center) with family and friends. 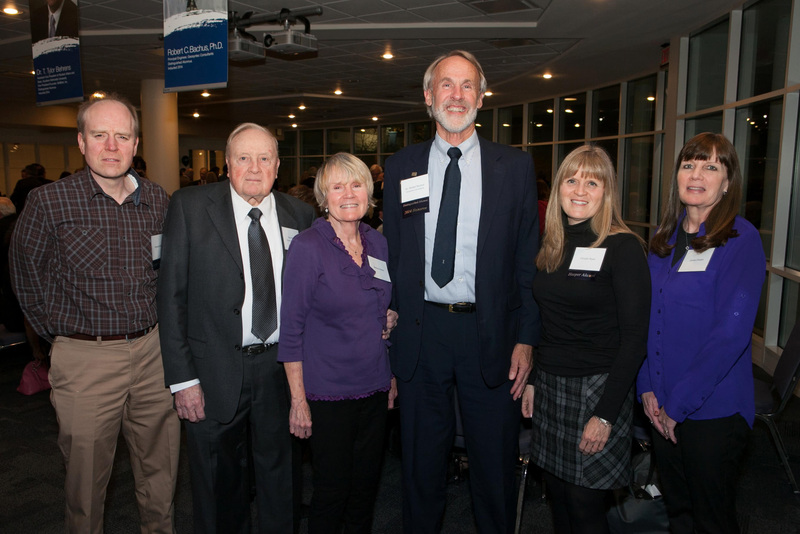 - 2014 Distinguished Alumni Honoree, Dr. Robert Bachus (center) with Harper retiree Bob Nolan (second from left) and Barbara Nolan (third from left). 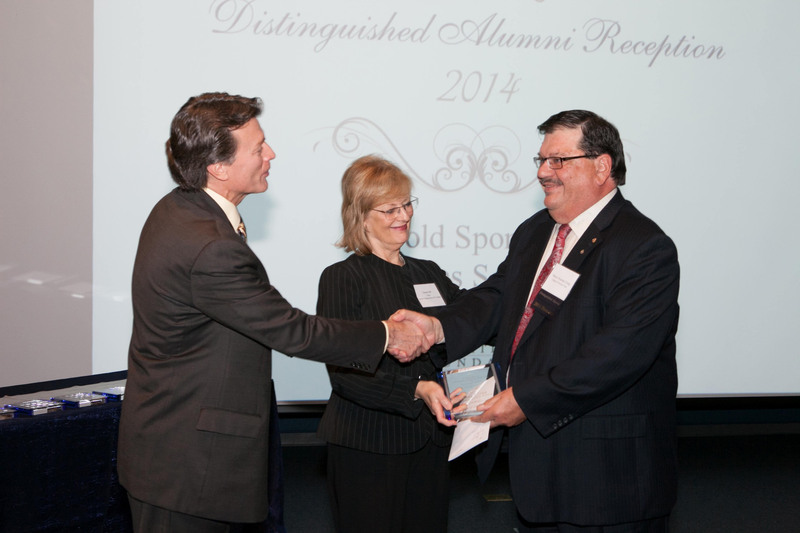 - 2014 Distinguished Alumni Honoree, Mayor Rodney Craig receiving his award from Harper Board of Trustees Chair Diane Hill and Trustee Greg Dowell. 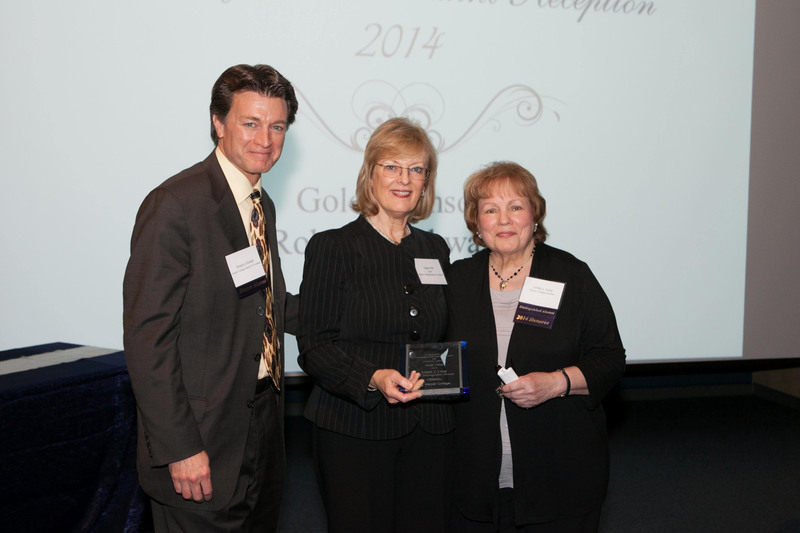 - 2014 Distinguished Alumni Honoree, Linda Lang receiving her award from Harper Board of Trustees Chair Diane Hill and Trustee Greg Dowell. 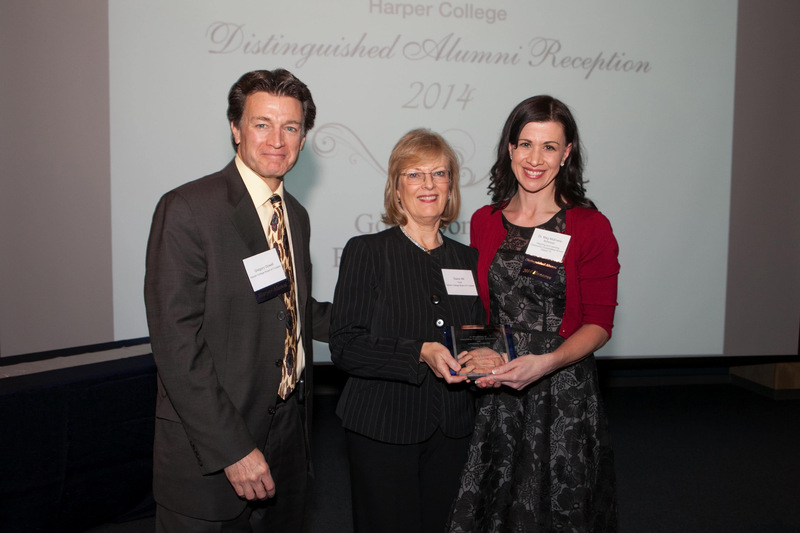 - 2014 Distinguished Alumni Honoree, Meg McEnery-Schnoor, receives her award from Harper Board of Trustees Chair Diane Hill and Trustee Greg Dowell. 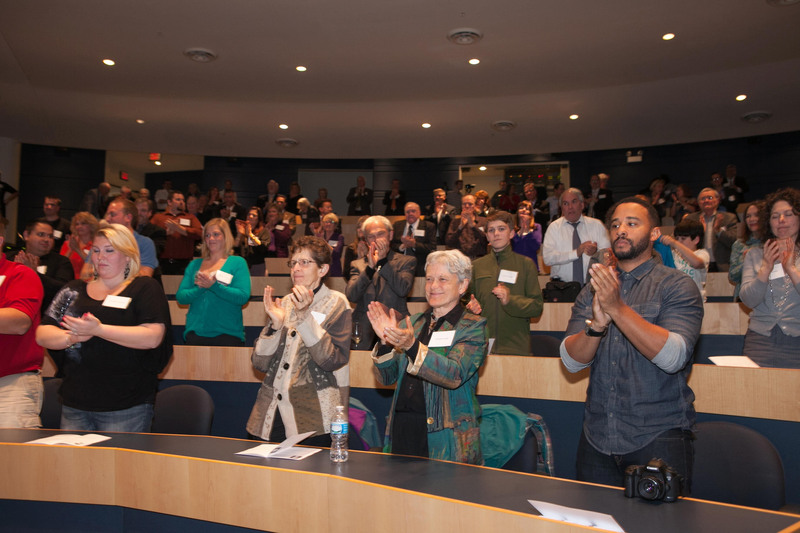 - Guests applauding this year's honorees with a standing ovation. 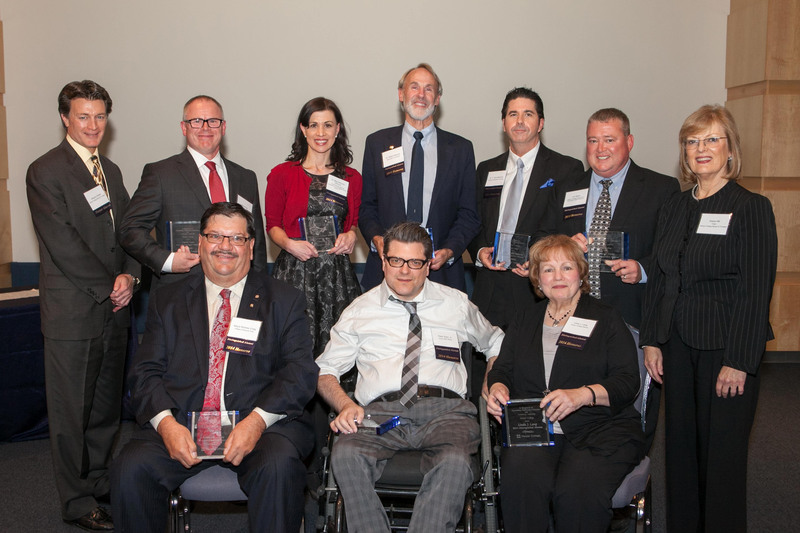 - The 2014 Distinguished Alumni Award Honorees, with Harper Board of Trustees Chair, Diane Hill and Trustee Greg Dowell. 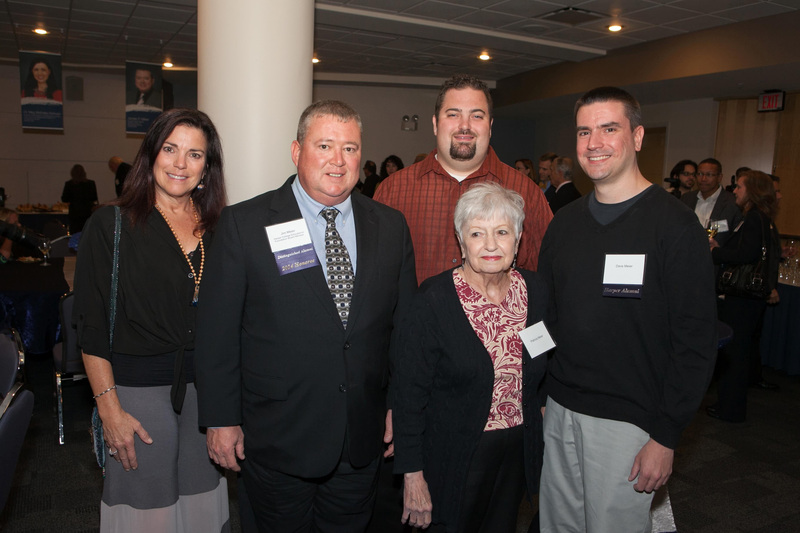 - 2014 Distinguished Alumni Honoree, Dr. T. Tylor Behrens (second from right) and guests. 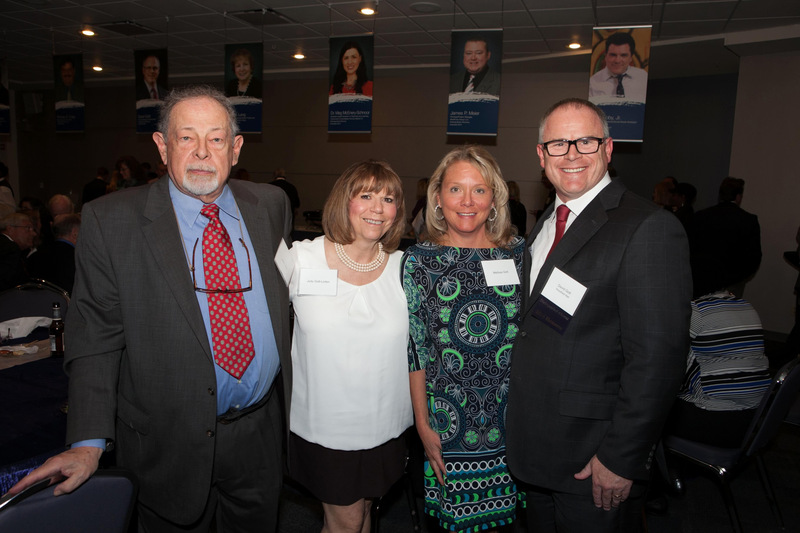 - 2014 Distinguished Alumni Honoree, David Gott (far right) and guests.